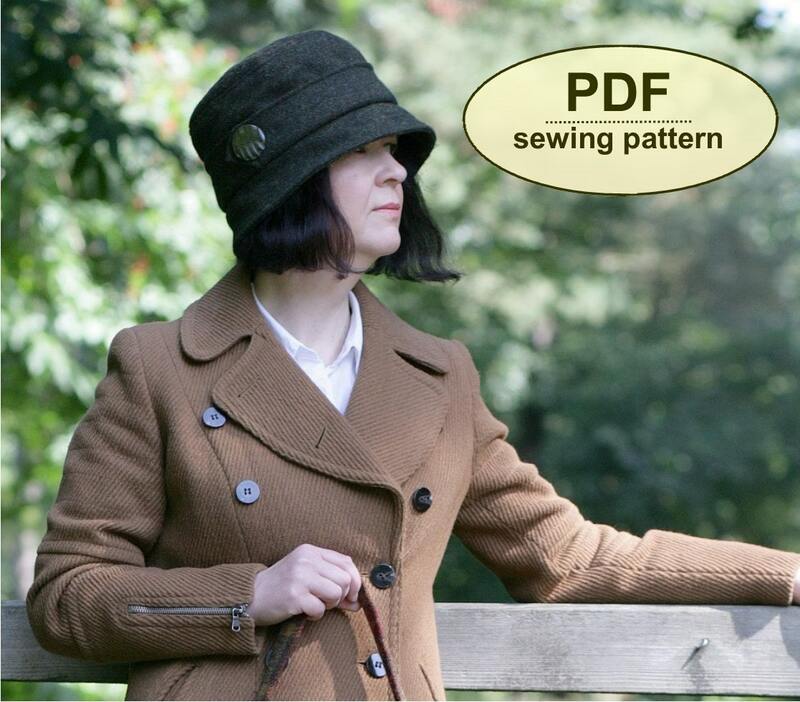 Please note: If you wish to make a few bags or hats from Charlie’s Aunt sewing patterns or books to sell, please read the rules in the "additional information" section of our policies page. 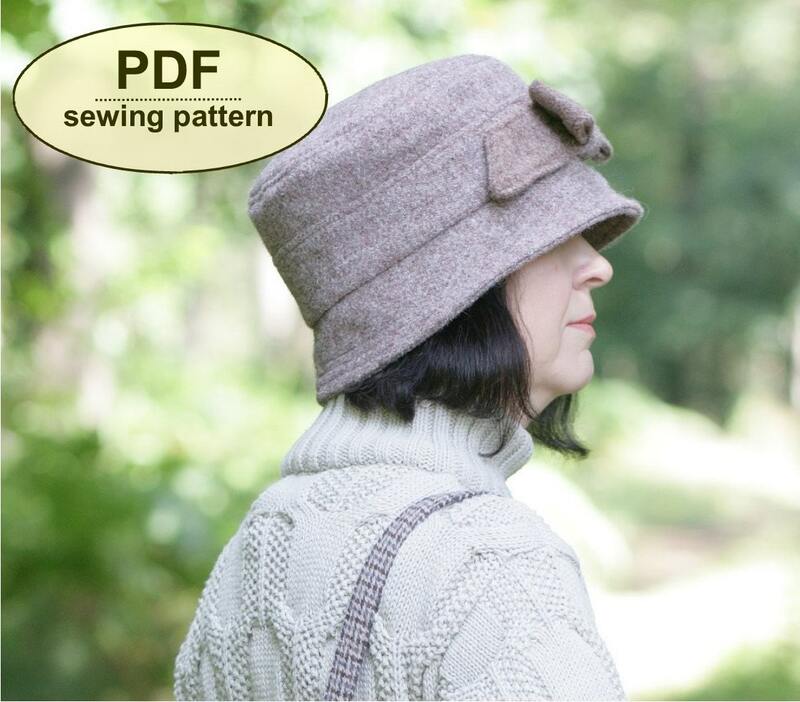 This is a PDF sewing pattern for the simply shaped, versatile 1920s-inspired Heacham Cloche Hat which features a straight crown, neat turned down brim and a choice of three separate trim options. You can make it with a two-piece crown and a pieced top in contrasting fabrics or you could opt to make it all in one colour and add a bow trim at the front. 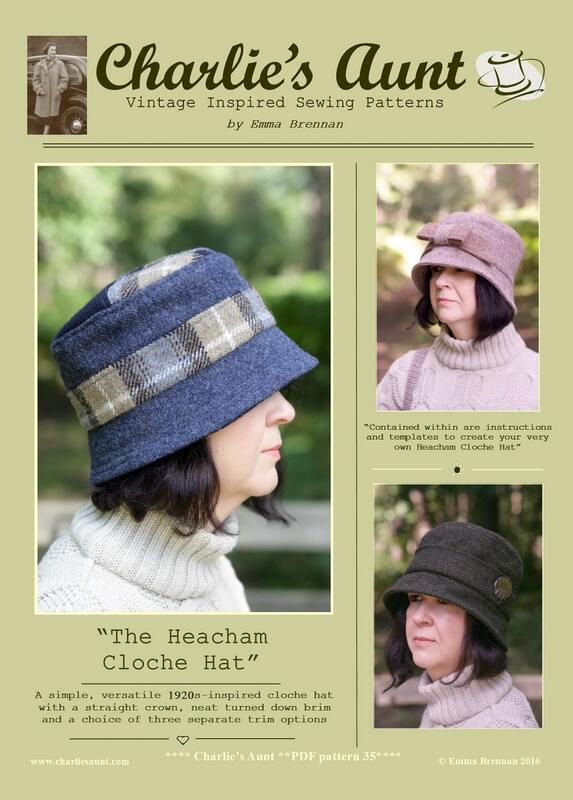 Alternatively, Heacham Cloche can be made with an integral ‘cuff’ trimmed with a button at one side. 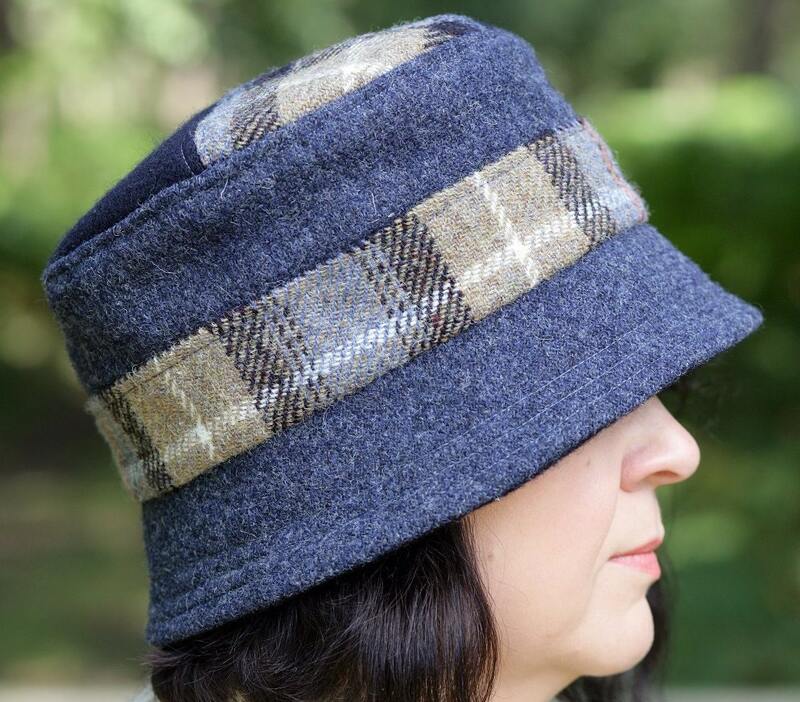 This style suits most face shapes and can be made in a variety of fabrics from tweed, moleskin or corduroy for everyday wear to lighter weight linen fabrics for a vintage-style spring/summer occasion. 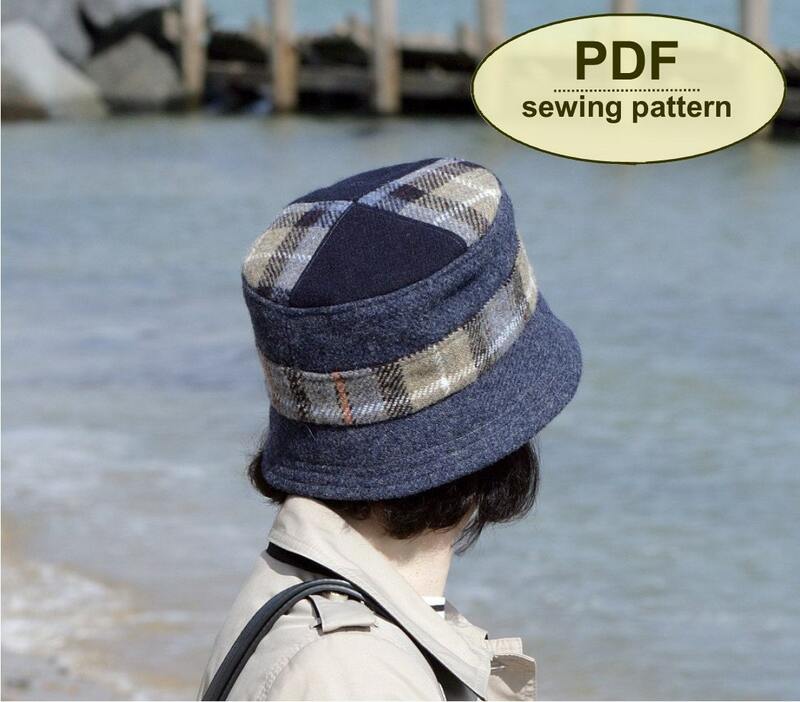 This PDF has 16 pages—10 pages including the cover, general, cutting out and step-by-step instructions, and 6 pattern sheets with the templates, which you must print and cut out. All of the templates are actual size. As most of the templates are too big to fit on one sheet, you must cut out and tape these templates together where shown. Instructions for this are clear. Three different sizes – small (21½”), medium (22½) and large (23½”) – are included in the pattern.